A perfect gift for a new addition! 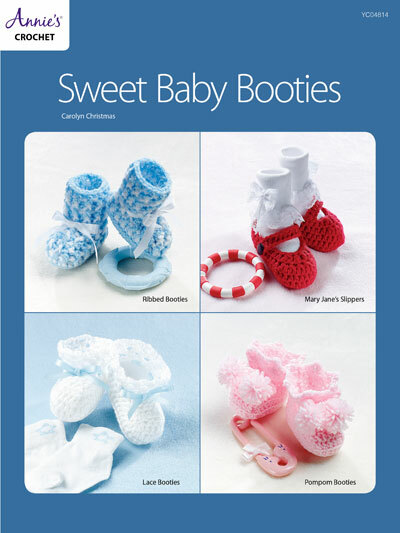 4 pairs of adorable baby booties are included in this pattern. Designs are made using DK- and worsted-weight yarn. 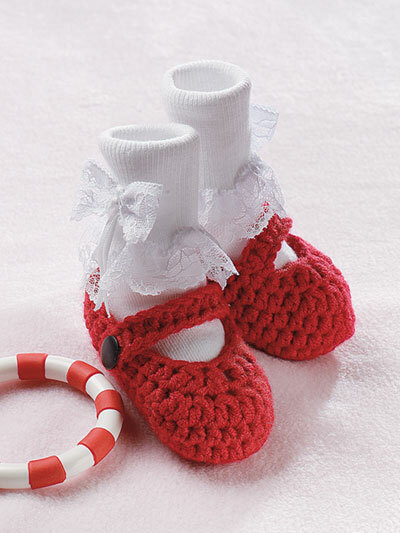 Size: fits infant's 3 1/2" to 4" sole.